Dana Gioia has published four books of poetry and three collections of critical essays. His anthologies are among the best-selling textbooks in the country. 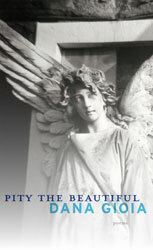 His most recent volume of poems is Pity the Beautiful.